Gone are the days of pushing your message onto consumers. Today you must pull in customers with thoughtful and engaging content, which is why visual storytelling is essential if you want to be successful on social media. The human brain processes visual information 60,000 times faster than text, and Instagram is just one of the social networks taking advantage of that. The highly visual app is now the cornerstone of many brands’ marketing strategies—especially among the retail industry. According to Forbes, 91% of retail brands use Instagram to reach customers. And with the company’s latest app, Layout, now retailers are able to create even more engaging stories to pull in customers. 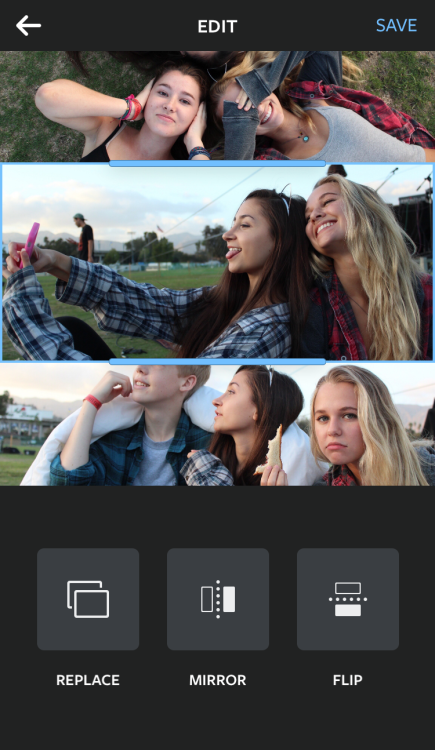 Layout is a mobile app for iOS and Android that lets you easily combine multiple photos into a single image. These collages are perfect for storytelling, showing off new products or highlighting different aspects or benefits of the same product. 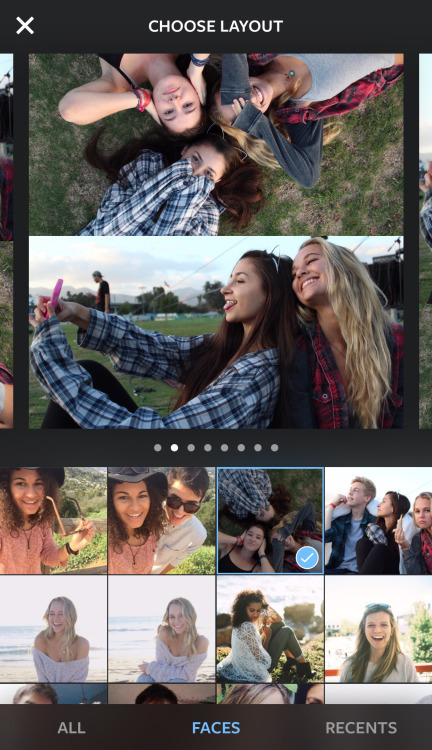 According to Instagram, 20% of its users were already using third-party tools to create collage posts. Creating content that’s similar to that of your customers is a great way to show that your brand is relatable. With Layout, the collage-creation process is much more streamlined, and you never have to leave the Instagram ecosystem. With a robust feature set, this standalone app is the perfect addition to your visual storytelling toolbox. When you open Layout, tap All to see every photo on your phone, Faces to see only the photos with people’s faces or Recents to see up to 30 of your most recently used photos. Keep in mind that photos with faces receive 38% more likes and 32% more comments than photos without. Select the photos you’d like to include—you can choose up to nine. Once selected, tap the layout you like best from the top of the screen. If you’d like to edit any of the images, just tap it. Save when finished. When it comes to editing, you have complete artistic control. You can drag and drop photos to rearrange them or flip and rotate photos to create unique arrangements and mirror effects. If you’d rather capture spontaneous moments, use Photo Booth to take a series of quick shots, and turn them into a new layout. Don’t run wild just yet. Layout offers a variety of posting and design features, but it’s best to wait until you have feedback from your audience before straying too far from simple storytelling. Start slowly, and keep an eye on your engagement metrics. It took almost no time before brands starting experimenting with Layout. Here are a few examples of how to use the app to create compelling stories. One of the easiest ways for a beauty brand to provide value to its customers is through tutorials, but that’s difficult to accomplish in a single image. Sephora used Layout to create a collage of the different stages of highlighting and contouring. It’s an excellent way to educate customers on how to use your product, and the before and after images can be great conversation starters. Layout can also be used to highlight your customers themselves. People are talking about and tagging your brand on Instagram, so why not take advantage of some of that user-generated content? Sephora encouraged customers to tag posts, using #TrendingAtSephora and then turned some of those images into collages that were shared from the brand’s Instagram account. Collages are perfect for recycling high volumes of content. The Home Depot is no stranger to DIY home improvement projects, and the brand regularly features tips and success stories on its social profiles to help influence and guide customers. Layout has made that process even easier, and now The Home Depot can capture remarkable before-and-after restorations or instructions for seasonal DIY projects. Don’t let the image be the only resource you share with customers though. The Home Depot cleverly offers full directions for its projects via a link in its Instagram profile. Not only does this provide additional value for the customer, but it also helps drive traffic to the brand’s website, where customers are introduced to even more products, tips and hints. Sometimes the best way to engage your followers is to let your products speak for themselves. It’s a simple but effective approach. Victoria’s Secret used Instagram earlier this summer to promote its swimwear line. The brand took a balanced approached and highlighted products on their own before using Layout to combine several images into one to showcase a complete line. Loyal customers love to stock up on their favorite items, so make it easy for them to see what’s available. Take advantage of the space a collage provides, and feature an entire product line. You never know what will inspire your next sale. Sometimes you want to hear from your customers about your products. With Layout and hashtags, you can gather intelligence about people’s preferences while creatively promoting your product line. Bath & Body Works is kicking off its winter promotions with some market research. In these posts, the company featured images of different products and asked viewers to pick their favorite, using a specific hashtag. Not only can you learn a lot about your customers, but it’s also a great way to spread awareness across the platform.